Small slices of iron/nickel Meteorite. Lovely cut Muonionalusta meteorite slices, which typically measure 5-10MM wide. These pieces are a good example of an Iron Nickel meteorite slice; with a good, strong Widmanstätten pattern. The Muonionalusta meteorite is the oldest currently known of, over 4.5 billion years old. As these are, of course, natural pieces of metal, the patterning, colours, and amount of inclusions on each slice will differ. You will receive a randomly selected piece! We now order these in bulk and have managed to get a slightly better price. 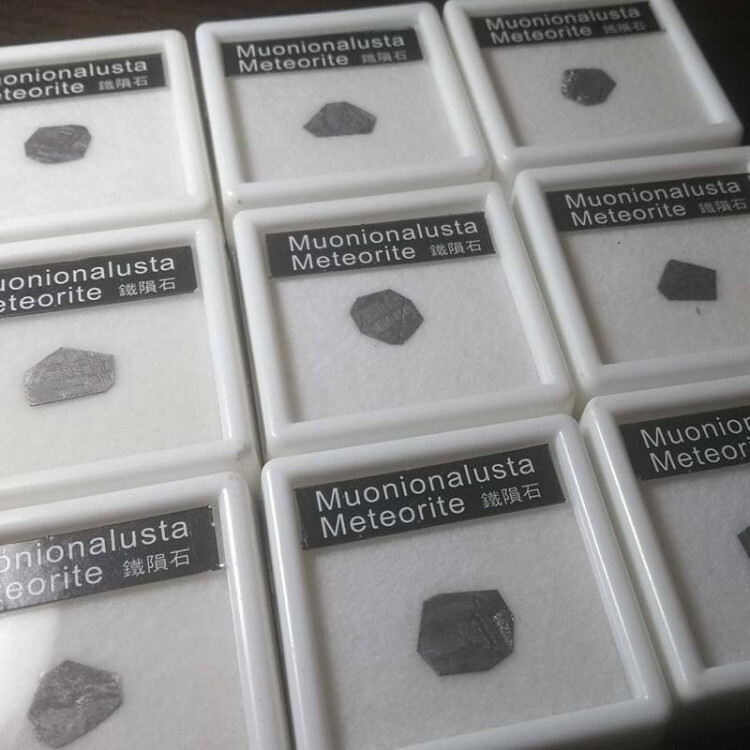 These come in a small display box with a foam pad and a little bit of information on the meteorite. We do occasionally sell a few other Meteorite pieces, over at our Meteorite page!